Drought is a major natural hazard with significant effects in the agricultural sector, especially in arid and semi-arid regions. The accurate and timely characterisation of agricultural drought is crucial for devising contingency plans, including the necessary mitigation measures. Many drought indices have been developed during the last decades for drought characterisation and analysis. One of the most widely used indices worldwide is the Standardised Precipitation Index (SPI). Although other comprehensive indices have been introduced over the years, SPI remains the most broadly accepted index due to a number of reasons, the most important of which are its simple structure and the fact that it uses only precipitation data. 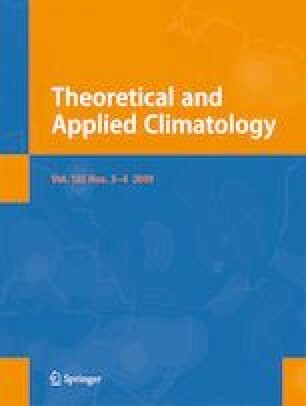 In this paper, a modified version of SPI is proposed, namely the Agricultural Standardised Precipitation Index (aSPI), based on the substitution of the total precipitation by the effective precipitation, which describes more accurately the amount of water that can be used productively by the plants. Further, the selection of the most suitable reference periods and time steps for agricultural drought identification using aSPI is discussed. This conceptual enhancement of SPI aims at improving the suitability of the index for agricultural drought characterisation, while retaining the advantages of the original index, including its dependence only on precipitation data. The evaluation of the performance of both SPI and aSPI in terms of correlating drought magnitude with crop yield response in four regions of Greece under Mediterranean conditions indicated that aSPI is more robust than the original index in identifying agricultural drought.